Newspaper Rock: Blackstone coming to US? By Etan VlessingIt turns out a U.S. sale of a drama based around the exploits of a reservation crime family is near at hand. “We are in active discussions with a cable network,” says Ritch Colbert, a principal of PPI Releasing, the Los Angeles-based distributor that started shopping Blackstone stateside after a third season got the drama to 23 episodes. 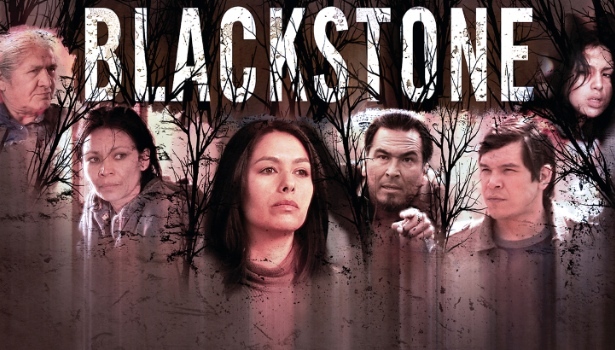 Colbert adds that the cult drama about a fictional Blackstone First Nation reserve rife with political corruption and economic inequality will hit home with Americans struggling financially and disillusioned with their ruling class. “This is as good as TV gets. It covers every aspect of modern U.S. culture in glaring details, whether corruption, teenage pregnancy, domestic violence,” Colbert said.Comment: For more on Blackstone, see Negative Stereotypes in Blackstone and Blackstone Actresses Nominated for Gemini Awards.